Proposed legislation would require all Washington school districts to test their drinking water for lead and swiftly fix any water source that tests above a new statewide limit. 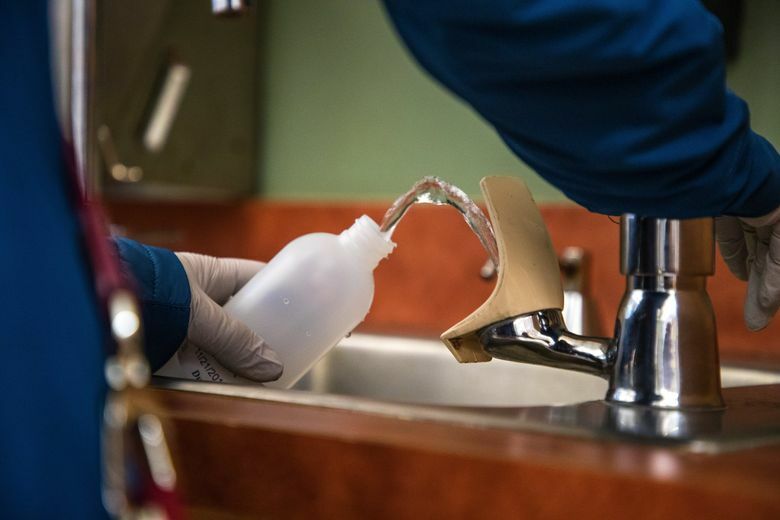 Washington state lawmakers may for the first time require all school districts to test their drinking water for lead and notify parents when the toxin is discovered at their children’s school. State Rep. Gerry Pollet, D-Seattle, last week filed legislation that also would establish a new statewide limit on lead and trigger an immediate set of fixes to any water source with elevated levels of the heavy metal. The measure would require schools to notify parents if any water source tested had more than one part per billion of lead. It would trigger remediation if the level exceeded five parts per billion. In California, schools don’t have to take any action if water tests at or below 15 parts per billion. The U.S. Environmental Protection Agency also sets its own “action limit” at 15 parts per billion. Pollet filed House Bill 1860 on Friday, the same day The Seattle Times reported on the persistence of lead in the water of Seattle Public Schools, Washington’s largest school district. By Monday, an additional 17 representatives — all Democrats — had signed on as co-sponsors. In 2009, the State Board of Health issued a rule that would have required schools to test for lead. But the Washington Legislature never provided the money to enforce that mandate, leaving some districts, including Federal Way, Seattle and Tacoma, to voluntarily conduct and pay for their own testing and remediation programs. While poisonous to everyone, lead poses a particular risk to children. Their growing bodies more readily absorb the toxin, the exposure of which can lead to learning disabilities and behavioral problems. According to the Centers for Disease Control and Prevention, elevated levels of lead can also damage kidneys, blood and the nervous system. The American Academy of Pediatrics has warned that no level of exposure to lead is safe for children. States and districts, however, set different standards, if they set one at all. Once every three years, Seattle Public Schools staff test the fountains, sinks, faucets and other sources of drinking water at each campus for levels of lead above the district’s threshold of 10 parts per billion. And as of early 2018, the district’s own test results showed at least one water fixture failed that standard at 41 schools and Memorial Stadium in Seattle Center. District officials told The Seattle Times that the high lead readings don’t pose a danger to students, because the failed fixtures are classroom sinks, not drinking fountains — an idea that assumes kids drink exclusively from the fountains. HB 1860 would require every district to test a third of their schools for lead each year, similar to Seattle’s schedule. But under the new bill’s one part per billion standard, in Seattle, the district’s data show parents would receive a lead notification for 89 of 99 facilities with test results as of early last year. The bill also would require every district to adopt its own policy or action plan to add water filters to or remove any fixture from service if it tests above five parts per billion. HB 1860 hasn’t yet received a fiscal note, but Pollet estimated it would cost the state about $1 million a year to pay for testing in every district. He also noted lawmakers would have to debate whether to set aside capital budget money to pay for remediation. In a news release, the Environment Washington Research & Policy Center cited the pediatrician group’s review of medical research that found more than 24 million children in the country are at risk of losing IQ points due to even low levels of lead.